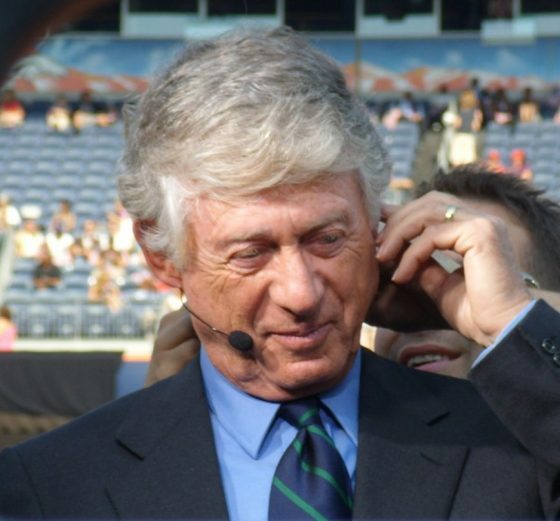 As someone who goes back decades with Accuracy in Media, I remember the days when Ted Koppel, then with ABC News and host of “Nightline,” would cover serious matters and treat his conservative critics with respect. So Koppel’s attack on Sean Hannity of Fox News was a shocker. Something has happened to journalism, and the problem is not with Hannity, it’s with Koppel. All of a sudden, however, Koppel has decided to go on the attack against conservatives. He is not alone. You can frequently find the rants of the disgraced former anchorman of the CBS Evening News, Dan Rather, on obscure left-wing websites like Reader Supported News. In one of his latest posts, Rather says of President Trump, “… the Russian shadow continues to darken.” This is funny, considering that one of AIM’s investigations of Rather concluded that he had become a vehicle for Russian Communist propaganda when he used the CBS Evening News to broadcast the charge that AIDS had been manufactured by the Pentagon. This was before his career ended in disgrace after being caught using fake documents to smear President George W. Bush. Now a “special contributor” to the CBS “Sunday Morning” program, Koppel’s confrontation with Hannity was described by CBS as being about the “polarization of politics and the media in the Age of Trump.” The show’s website said that Koppel “charged Fox News host Sean Hannity with contributing to the increased antipathy toward opposing viewpoints that is prevalent in America.” Hannity’s “crime” is offering conservative news and opinion. Conservative news and commentary are facts of life that should be studied and understood, not ridiculed as beyond the pale. Conservative blogs began the process of unraveling Rather’s smear of Bush, leading to the destruction of the CBS newsman’s career. Hannity offers news and opinion that fill a void and meet the demands of his audience. As a long-time news analyst, I find it refreshing that at least some professors are taking the rise of conservative journalism seriously and treating it as a subject to be studied. In a “Call for Book Chapters on Conservative News,” professors Anthony M. Nadler and A.J. Bauer are calling on academics and others to contribute essays on the growth and influence of conservative news and opinion outlets. “Conservative news has become a tremendously powerful platform in the United States, wielding a vast influence on the terms of political discourse,” they note. Nadler is an Assistant Professor of Media and Communication Studies at Ursinus College and is the author of Making the News Popular: Mobilizing U.S. News Audiences (2016, University of Illinois Press). Bauer is a Mellon/ACLS Dissertation Completion Fellow and Doctoral Candidate in the Department of Social & Cultural Analysis at New York University. “Crucially,” notes Bauer, “reported trust in major news media in the U.S. differs greatly along partisan lines.” This reflects the fact that conservative Americans have rejected the liberal media, and have looked for and found alternatives. In other words, the liberals in the media and academia did not see this coming. They didn’t understand the powerful forces of conservative media as a reaction to the liberal media monopoly that is now in the process of disintegrating. Ted Koppel is in a position to understand and study this phenomenon. Instead, Koppel highlights a “polarized America.” He had a chance to understand the phenomenon of conservative news and opinion, but decided instead to attack it. It’s “bad for America” when liberals in the media abandon the debate and try to smear their opponents. We didn’t expect this from Koppel.